If you spend a lot of time driving, you’ll inevitably have to deal with a flat tire, a dead battery, an empty fuel tank, or another mishap at some point in time. While you can’t predict when and where your vehicle will stall, fortunately, you have the option to call a towing service for help. Depending on your location, a tow truck could arrive within minutes, or it could take hours. To stay safe while you wait, follow these three essential tips. Switch on your hazard lights and place markers or warning triangles about 100 yards behind your vehicle. Do this even if it's daytime. Your signals will make it easier for people to see you and will alert other drivers to your predicament. It will also reduce the risk of other motorists accidentally veering into you. Remain inside your vehicle with your seatbelt fastened while waiting for the tow truck to arrive. There are some situations that would justify exiting, including if you smell something burning, or if the road is narrow and you're afraid another vehicle will crash into you. If you do leave the safety of your vehicle, take essentials like your wallet and mobile phone with you. Also, stay a safe distance away from your vehicle while still keeping it in sight. You may feel tempted to make small talk with friends or use apps on your phone to stay busy while you wait for the tow truck. However, your phone should be used purposefully in the midst of an auto breakdown. 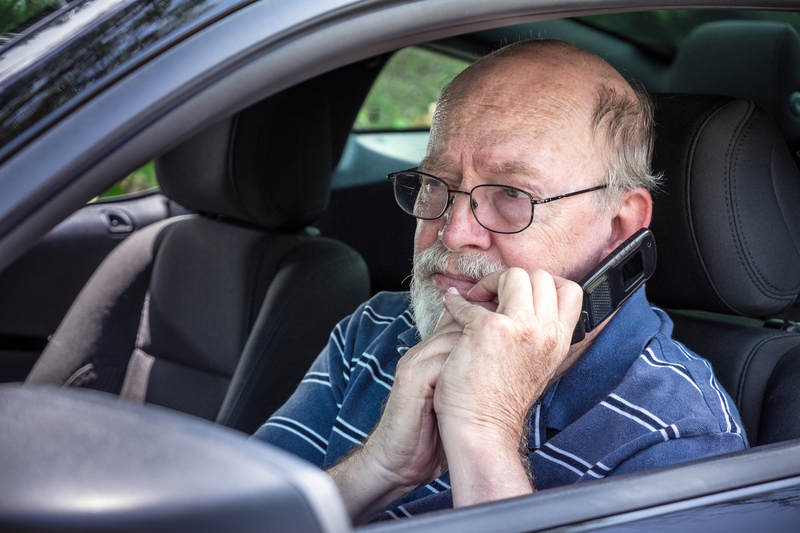 Prioritize calling roadside assistance and alerting family members of your situation. If you’ve been in an accident or you're stuck in an unsafe area, call 911. Otherwise, stay off the phone. You don’t want to use up your phone’s battery life or tie up the line in case your tow truck driver tries to call to verify your location. If you’re waiting somewhere away from your vehicle, make sure to turn off energy-draining apps on your phone and stay in an area that has a strong signal. No motorist wants to experience a car breakdown, but when the unexpected happens, turn to the professionals at Cogswell Towing in Russellville, AR. They offer 24/7 roadside assistance, ensuring you can get help anytime, day or night, and they strive to respond to drivers as quickly as possible. Their team also handles emergency towing and heavy-duty towing for large trucks and commercial vehicles. To speak with a member of the team, call (479) 968-4665 or check out their website to find out about their auto body shop and rental services. For more tips and company updates, like them on Facebook. What Should You Do if Your Car is Totaled in an Accident?